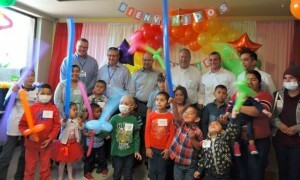 TIJUANA, MX (April 26th, 2017) On April 12th, 2017 Providien had the pleasure of hosting pediatric patients undergoing cancer treatment and their families. 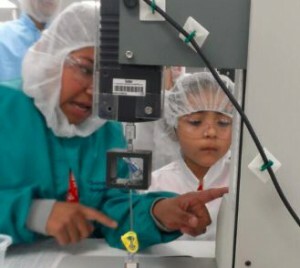 Many of the devices produced at Providien’s Tijuana location are used to treat cancer patients just like the children that visited. There were many touching and beautiful moments shared, as well as countless stories of each patient’s unique treatment experience. Throughout the Providien organization, our mission is simple – Quality First. 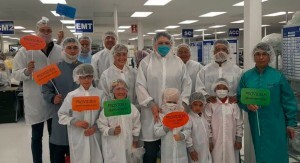 At Providien we are honored and humbled to have the opportunity to manufacture Class II and Class III medical devices. We are acutely aware of the great responsibility that comes with the manufacturing of medical devices. About Castro Limon- Castro Limon is a non-profit civil association that provides funds for the comprehensive care for children with cancer through a team of highly specialized health professionals. Castro Limon is certified in ISO 9001 2008 since 2006, and was the first civil society organization at the national level to be credited to this certification.